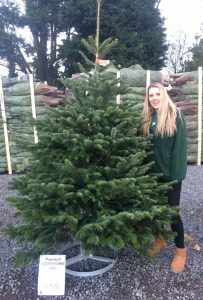 VALUE £25 cut Nordmann Firs NOW IN! It is that time of year again, when huge numbers of UK pot grown and cut Christmas trees descend on Trevena Cross. 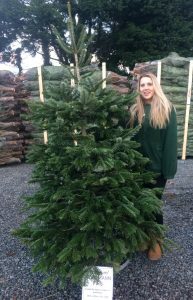 This year, staggered deliveries will ensure the freshest, ‘just cut’ tree for all customers preferring the cut option. 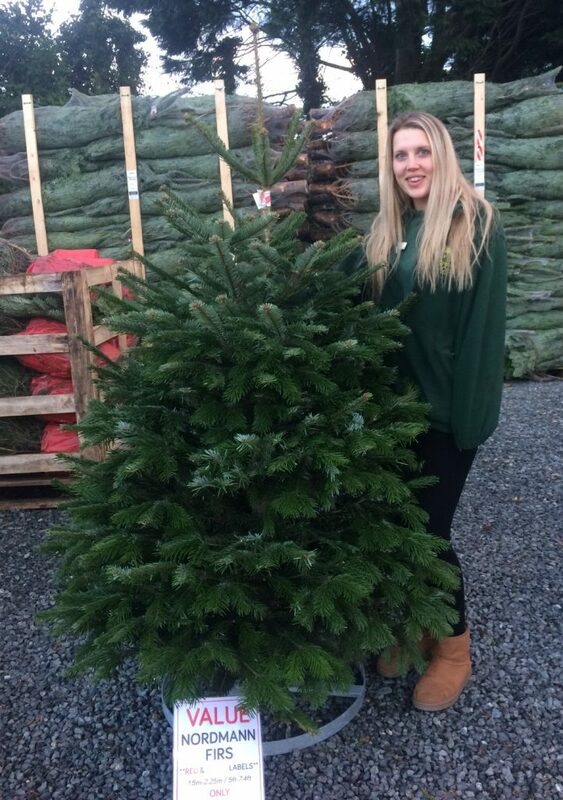 Our hugely popular £25 Nordmann Fir offer will also be back, for Nordmanns of all shape and size – some up to 6ft tall! 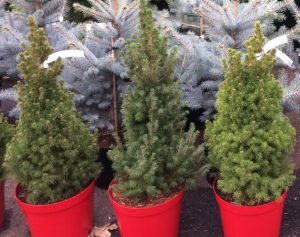 Choose from the best of the bunch – take your dream tree home, cut the bottom inch of trunk off and give it a good drink outside in a bucket of water! Your well hydrated tree will then be the star of the home come Christmas! 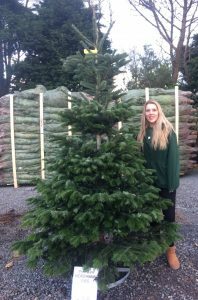 First to bring the exceptional value £25 cut Nordmann Fir to Cornwall! 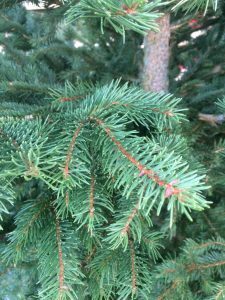 Norway Spruce – a traditional Christmas tree with a traditional Christmas scent. 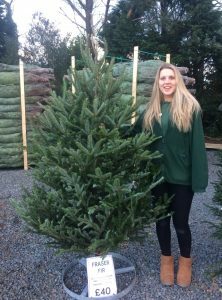 Nordmann Fir – a popular needle retentive Christmas tree with a lovely symmetrical shape and strong branches. 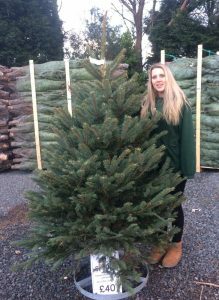 Fraser Fir – uniformly pyramid shaped tree with strong branches and good needle retention. 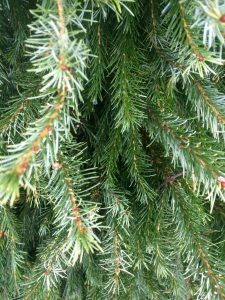 Its needles are green with silvery undersides, and the tree has a lovely scent. 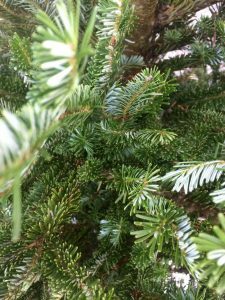 Blue Spruce – a conical-shaped evergreen tree with stiff horizontal branches and short stiff needles. Omorika – or Serbian Spruce forms an elegant, slender tree of a narrow conical shape. It has bright green needles with silvery undersides. Picea glauca var. 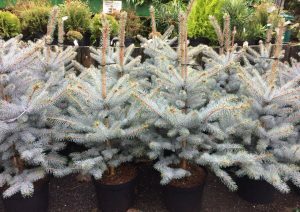 albertiana Conica – This very popular, dense pyramid shaped, evergreen conifer tree boasts bright spring growth and will look very at home in a rockery or garden border when not taking pride of place in the home as a Christmas tree. 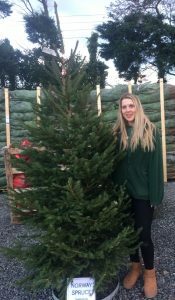 Slow growing (only around 3ft in 10yrs) it is very manageable and easy to maintain as the perfect tree and Christmas tree! 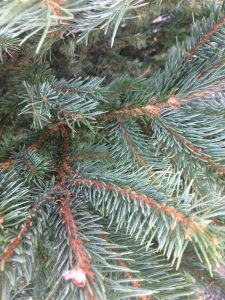 Picea pungens – This Colorado ‘Blue’ Spruce is a conical/symmetrical evergreen tree – with varieites like Edith and Blue Diamond displaying exceptionally, icy blue foliage, perfect for a Christmas tree, and then as a show stopping specimen in the garden for the rest of the year. Growing slowly (around 6ft at the 10 year mark), it makes a very manageable but very striking addition to the garden. 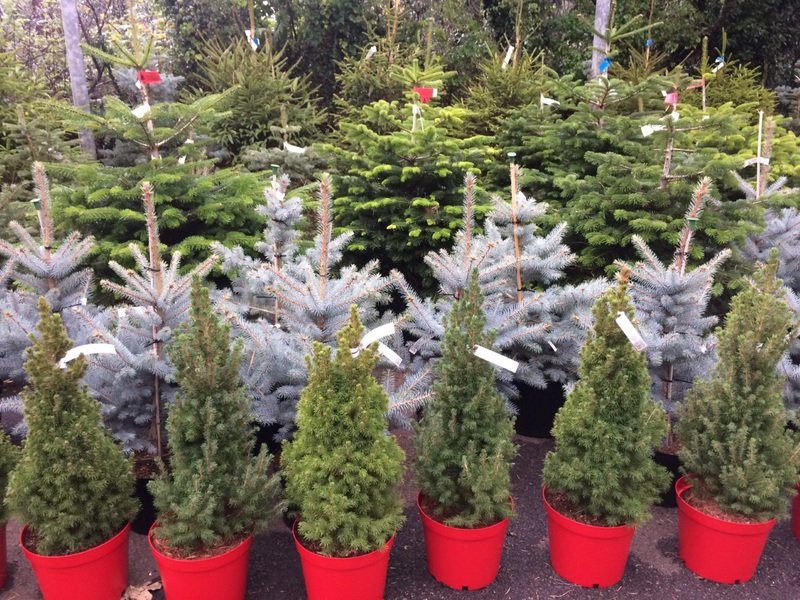 Mixed Christmas Trees – we grow a mix of smaller trees including Norway Spruce, Nordmann Fir and Picea pungens (Glauca). 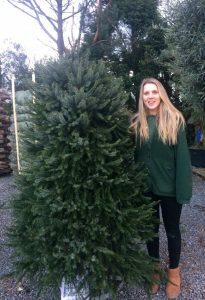 Omorika – Picea Omorika forms an elegant, slender tree of a narrow conical shape. It has bright green needles with silvery undersides.